Have you ever dreamt of being a plastic surgeon? Do you have a vague understanding of what and where your facial features are? Then according to “Plastic Surgery Simulator - Free Surgeon Games,” you’re already overqualified. Welcome to Crapp Store, a weekly-ish series in which we download and play the App Store’s alarming array of terrible games so you never have to. No one could resist the temptation of beauty! Every girl dreams of delicate face and stunning figure. 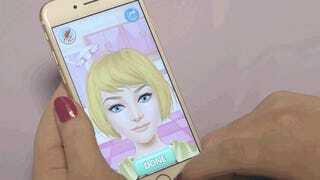 If makeup can’t give the beauty you want, then come to join this amazing plastic surgery game! You can turn into a Victoria’s secret model at once! You can never miss this game to become a butterfly from a cocoon! This is a girls’ game & casual game & fasion [sic] game & kids game!! Ostensibly, you’re a “plastic surgeon” tasked with performing various procedures of escalating difficulty. In actuality, the game is a brief, poorly executed vessel for pop-up ads and in-app purchases. The four “levels” themselves consist of dragging items to explicitly labeled spots and absolutely nothing else. Before you can ever actually finish a single surgery, you’re prompted to either pay for more credits or wait an obscene amount of time, the latter of which definitely seems dangerous for the patient. The game is also vaguely racist. Students of Dr. Kevorkian. Highly advanced babies. Ben Carson. I’ve never attended medical school, but I did vomit and pass out after donating blood in high school—so I know a thing or two about medicine. As far as I can tell, this is probably not an accurate depiction of liposuction. And this is definitely not how sutures are performed. But after watching this YouTube video and overlooking the fact that this woman has a small femur in her nasal cavity, it would seem that the app doesn’t actually do a terrible job replicating what’s going on under the skin. Final score: 100 percent as medically accurate as The Human Centipede. 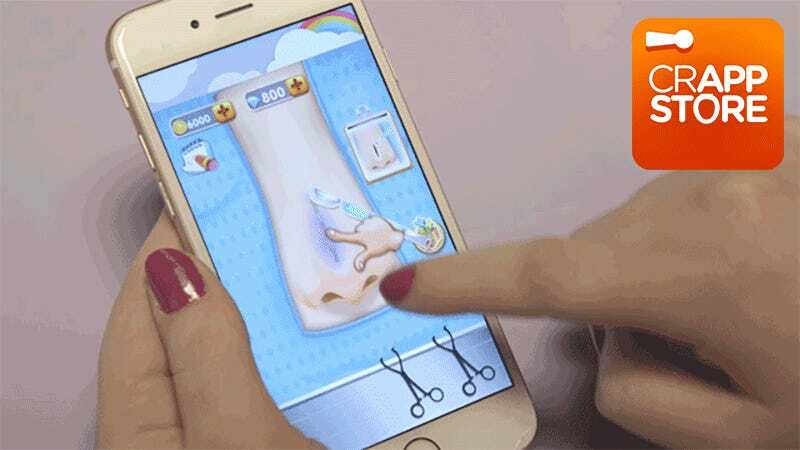 Unfortunately—and despite this app’s claims—it would seem that surgery is not for everyone. No one said medical school was going to be easy. ...plastic surgery is a scam and a waste of money. In which case, the app recreates the experience perfectly. Five out of five tiny femurs, would not play again.